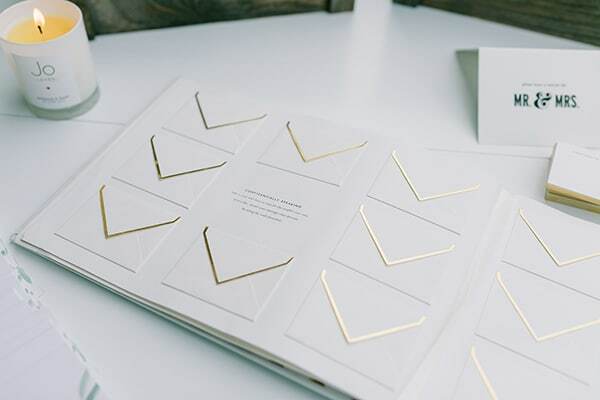 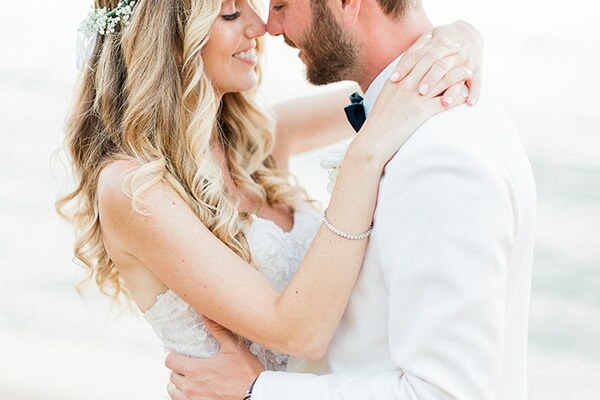 The wedding that we’re sharing today will mesmerize you! 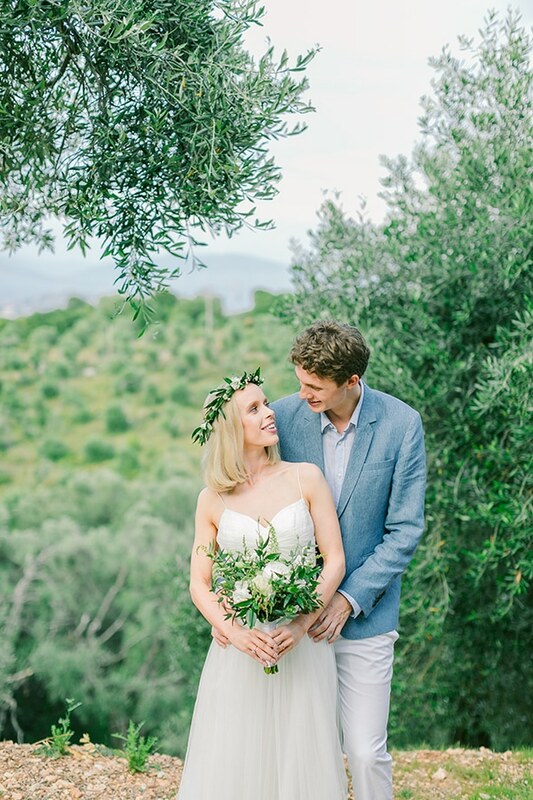 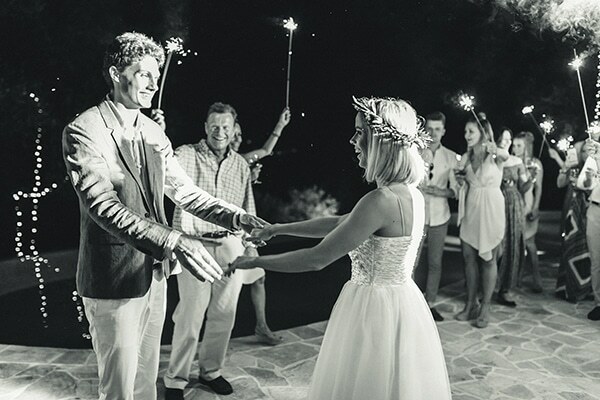 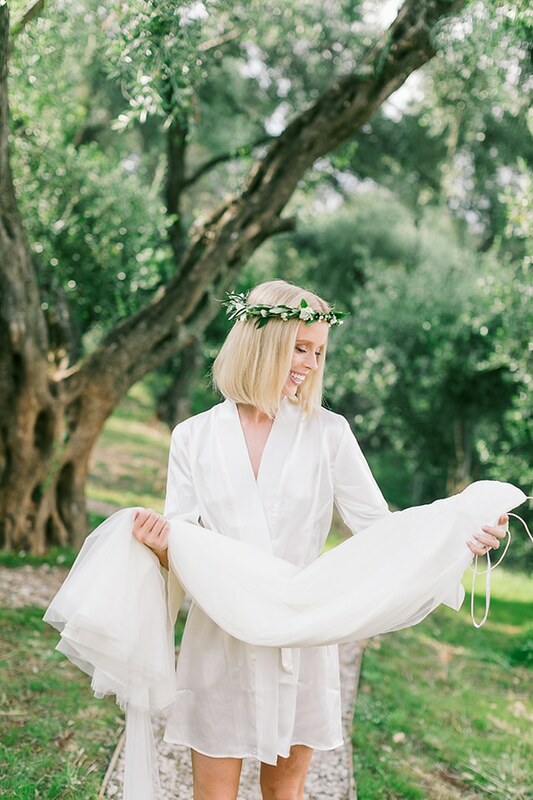 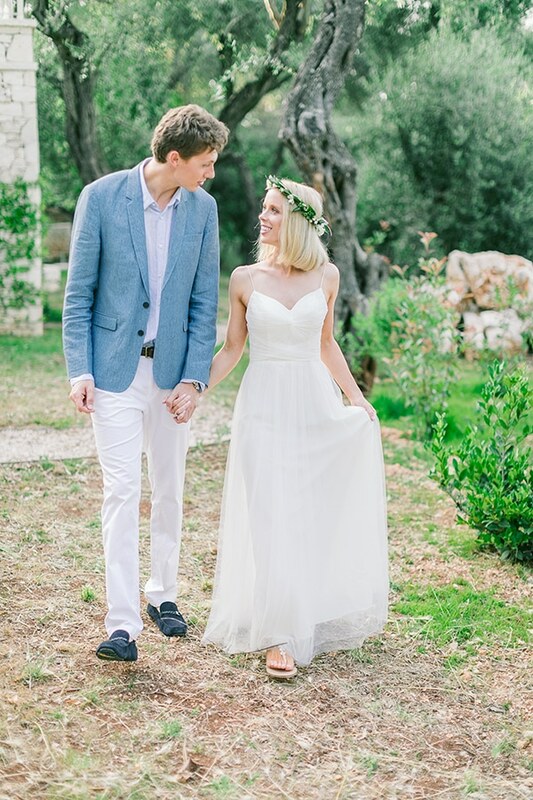 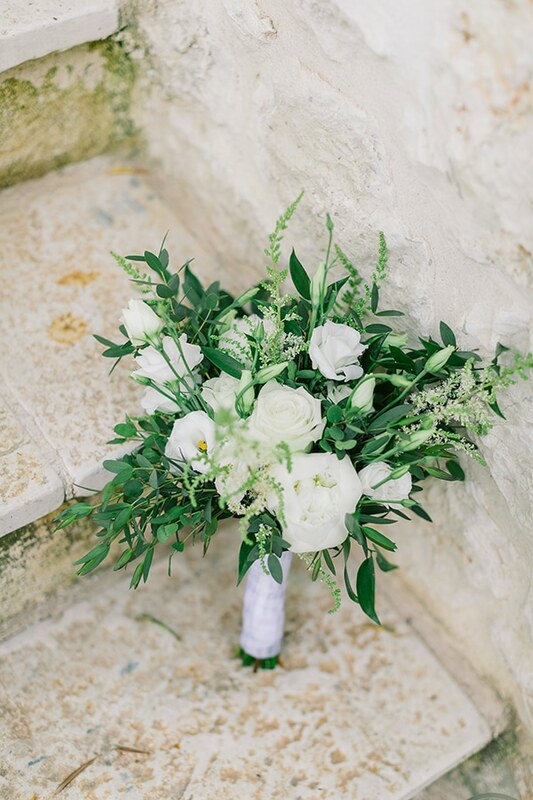 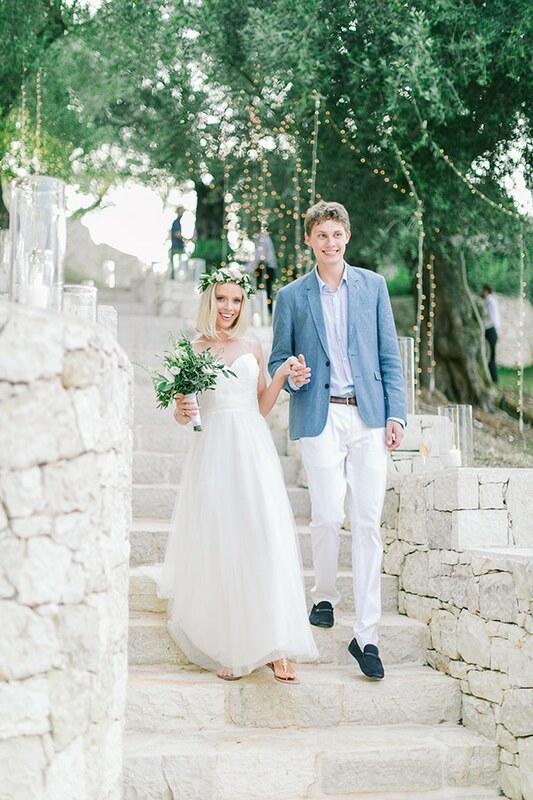 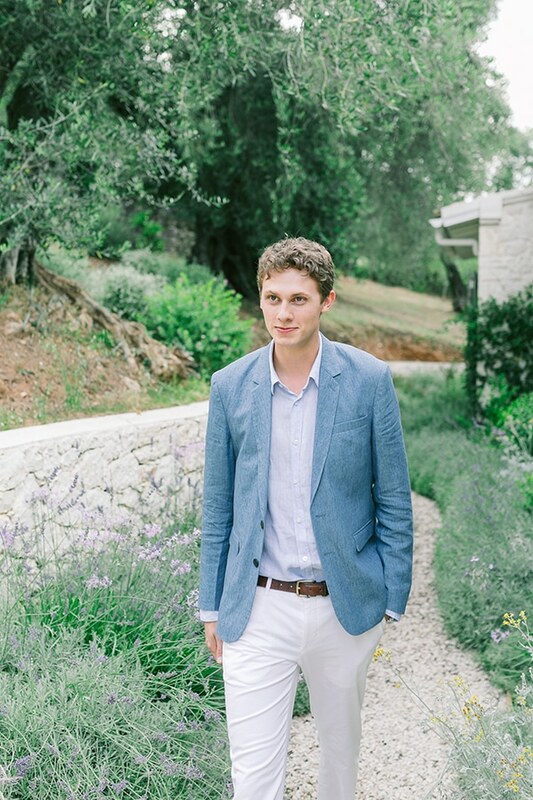 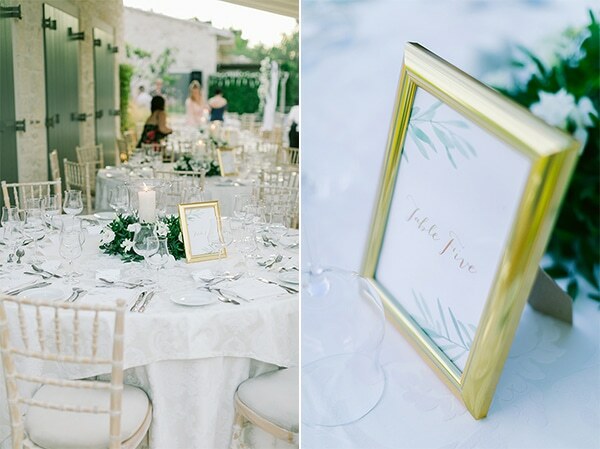 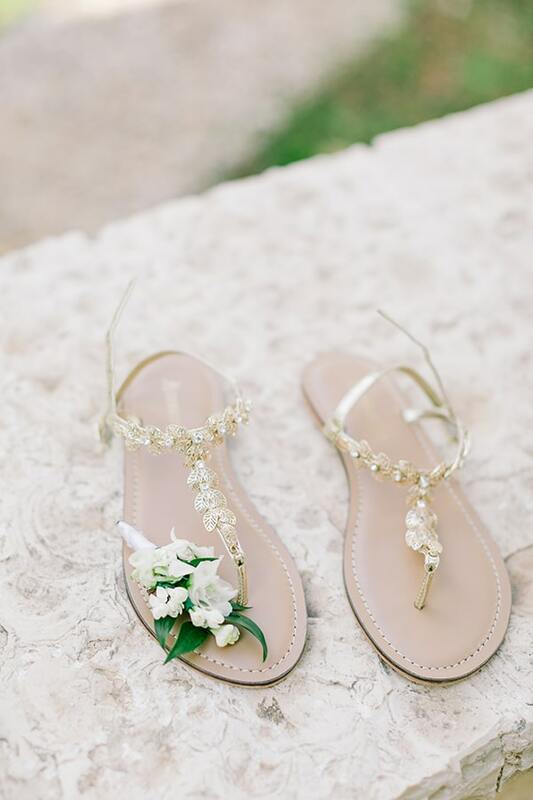 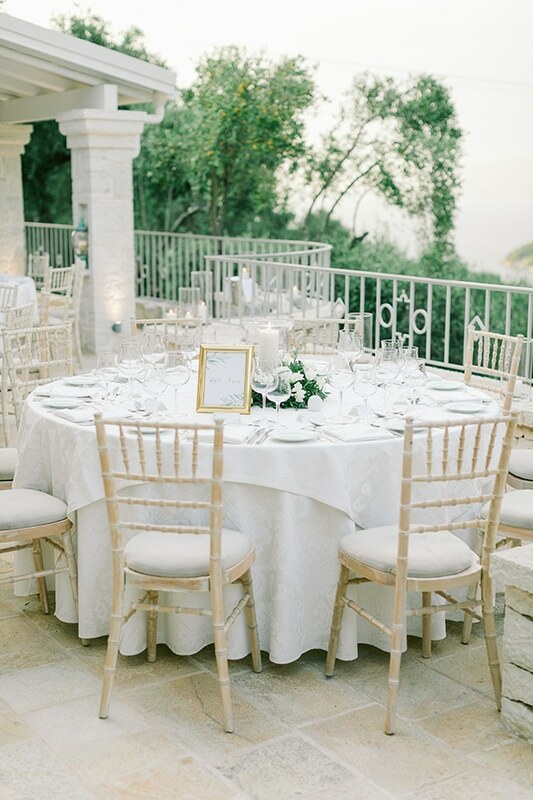 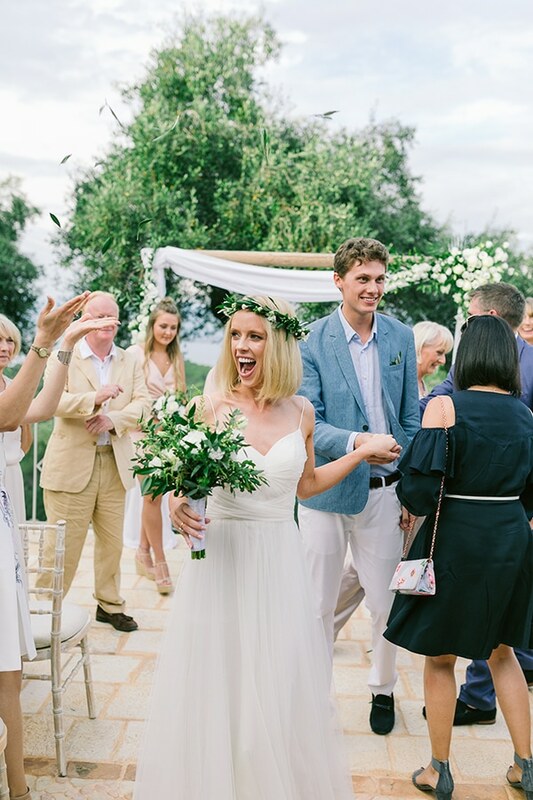 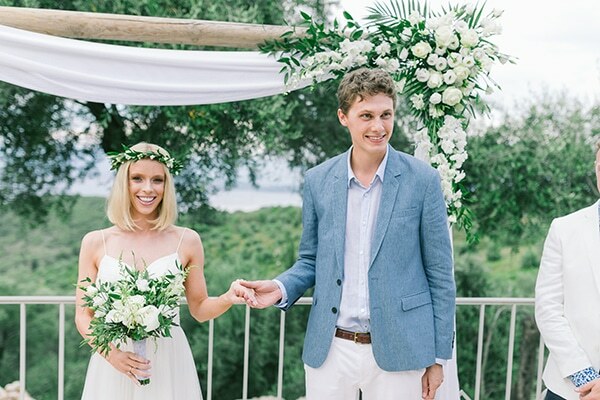 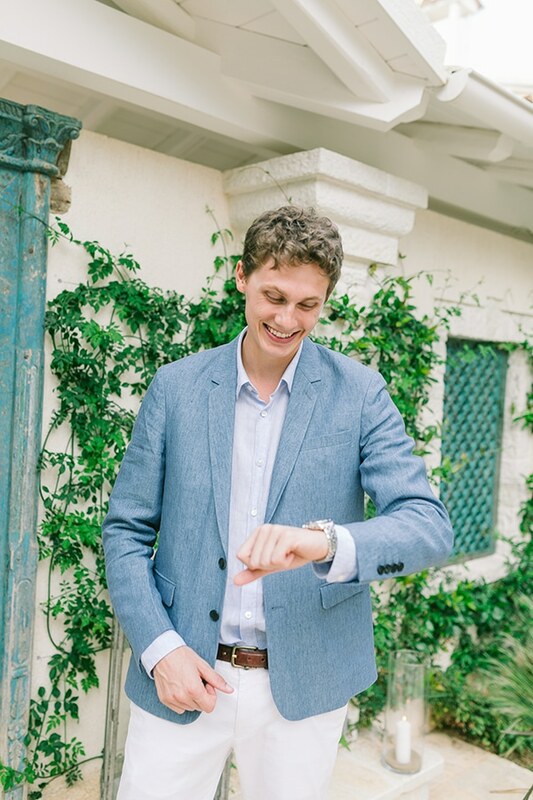 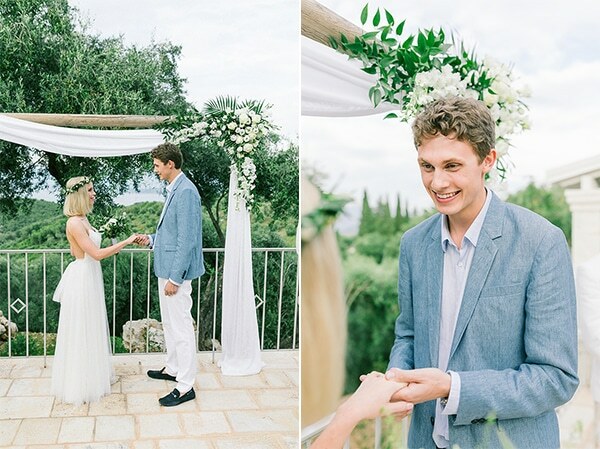 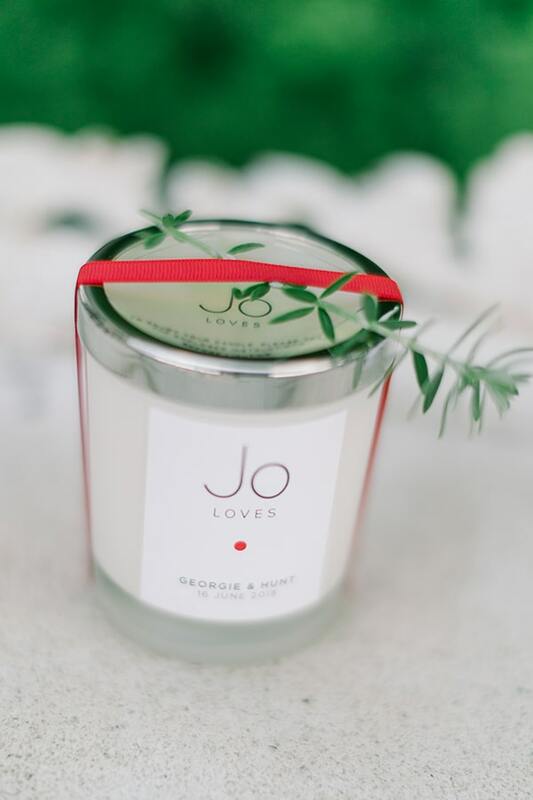 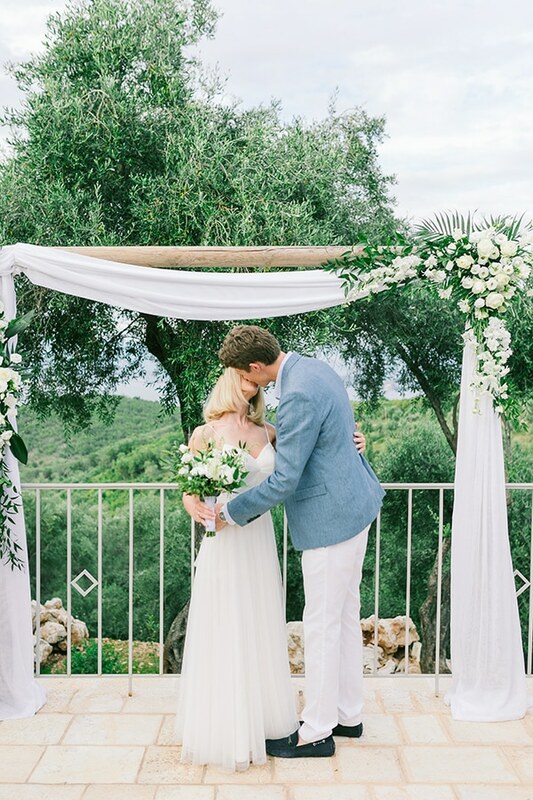 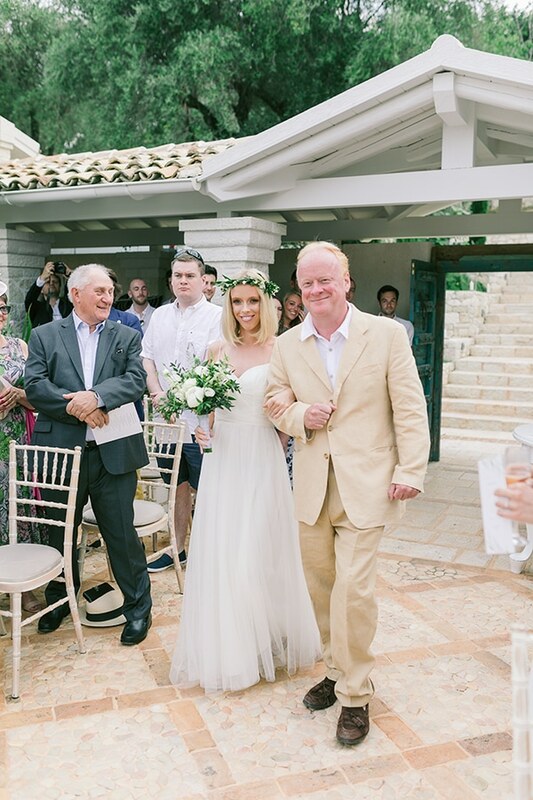 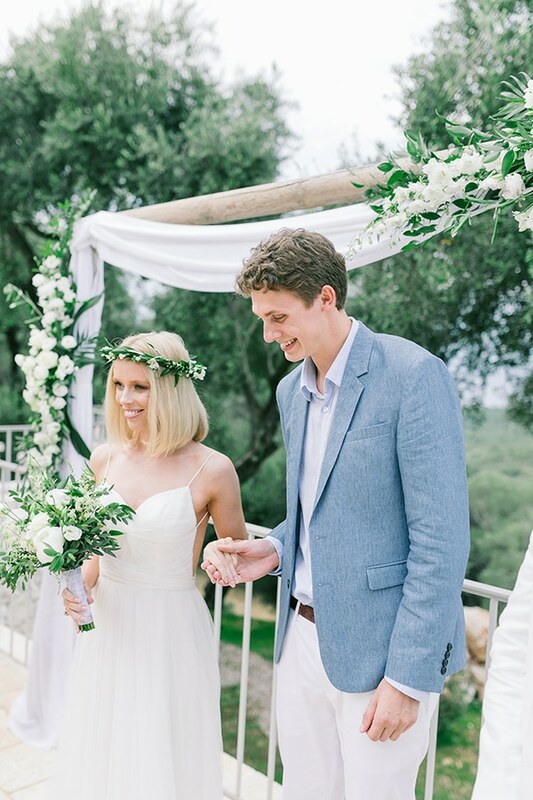 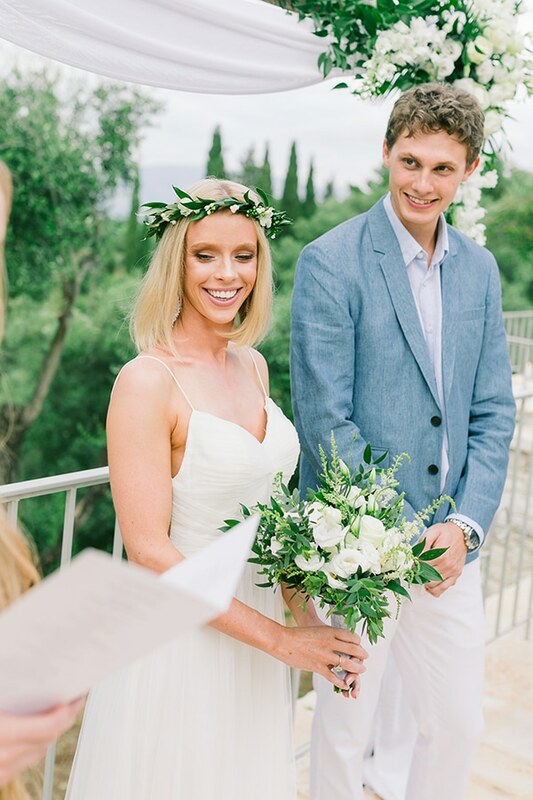 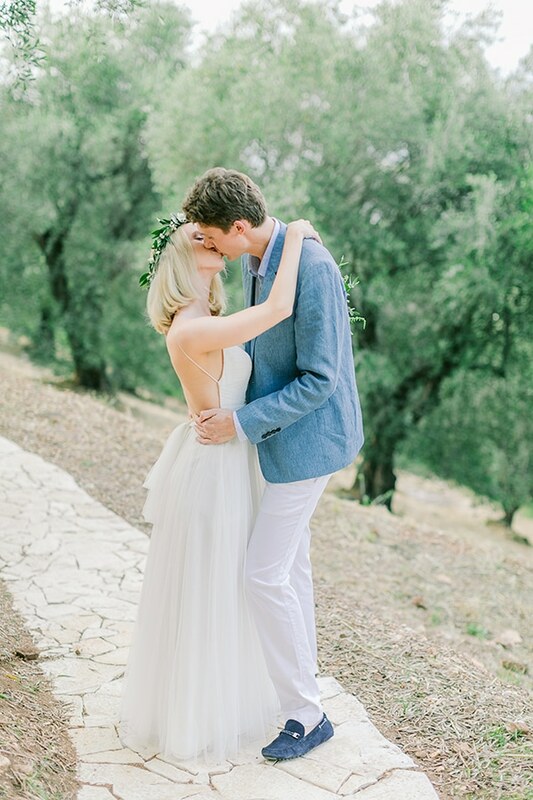 Georgie and Hunt tied the knot in the beautiful island of Corfu with an elegant yet relaxed wedding. 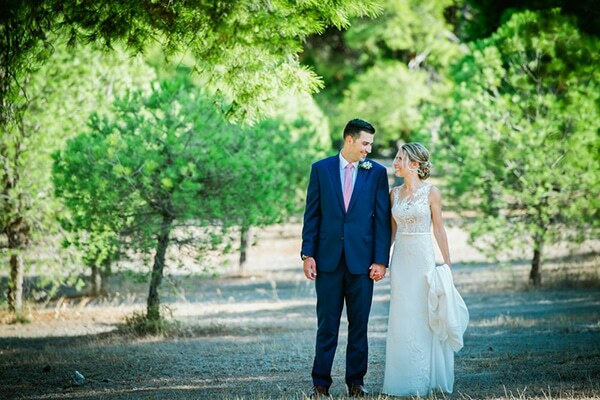 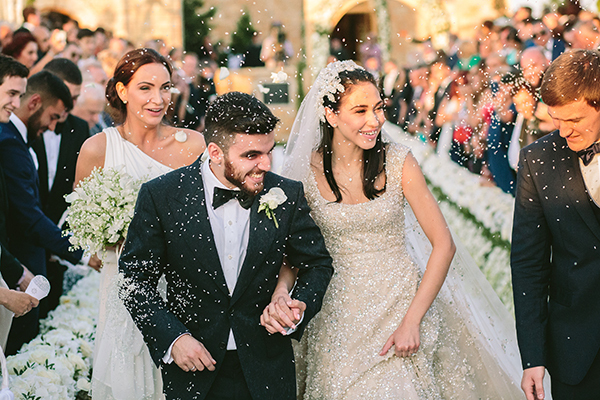 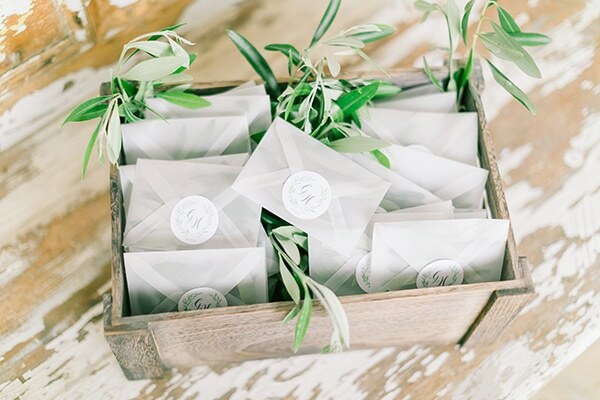 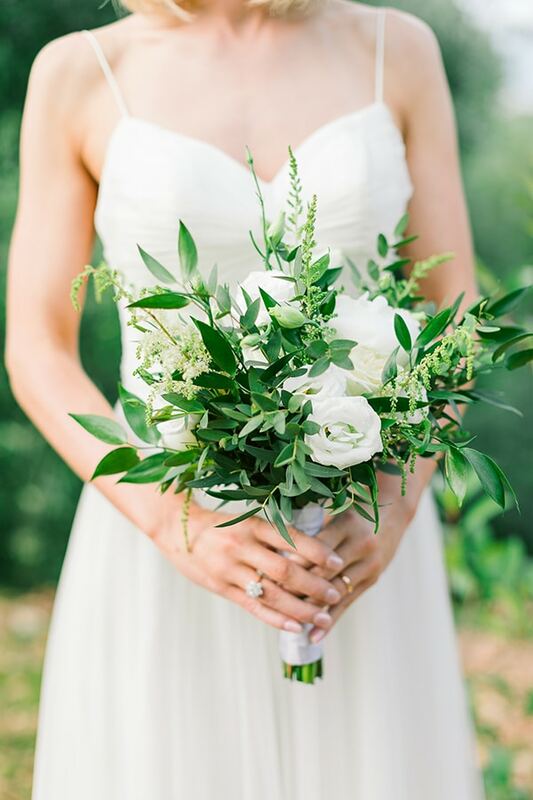 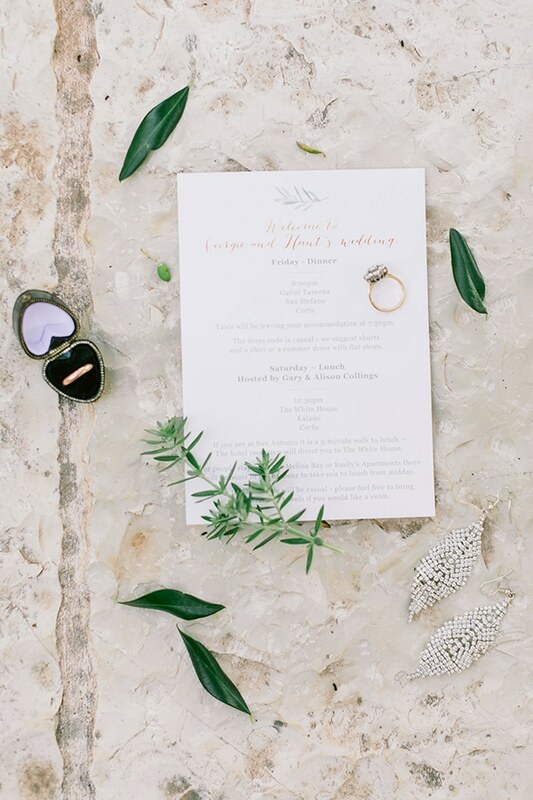 Both their ceremony and reception took place outdoors with a greenery field of olive trees as a background. 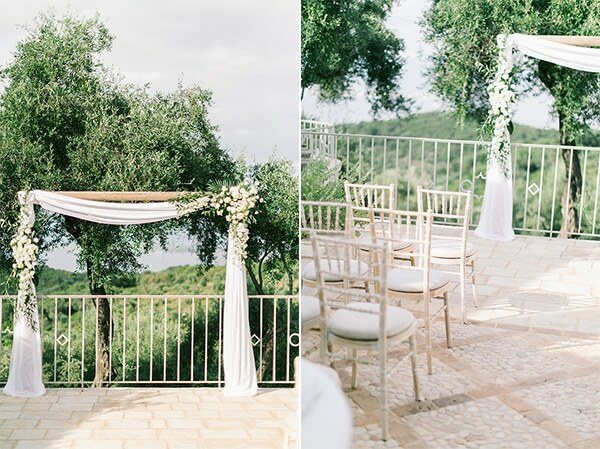 The main element of the wedding was olive leaves mixed with fresh white flowers that adorned perfectly a beautiful arch, the tables and other little details. 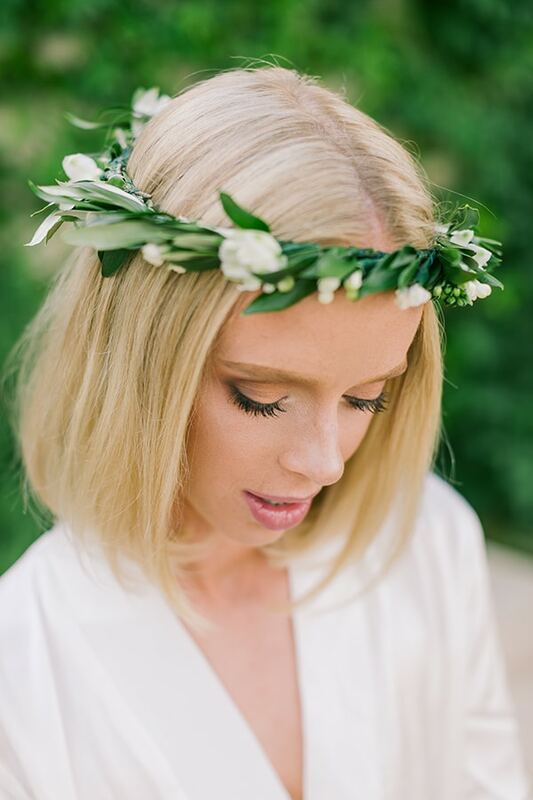 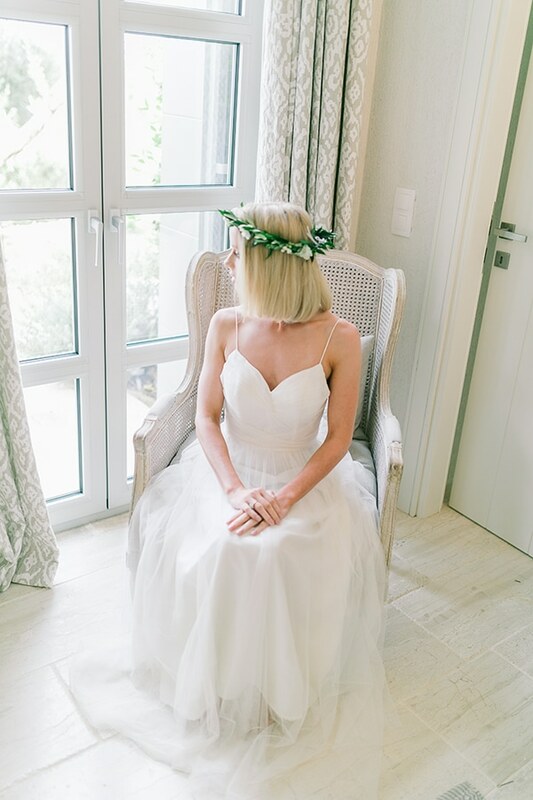 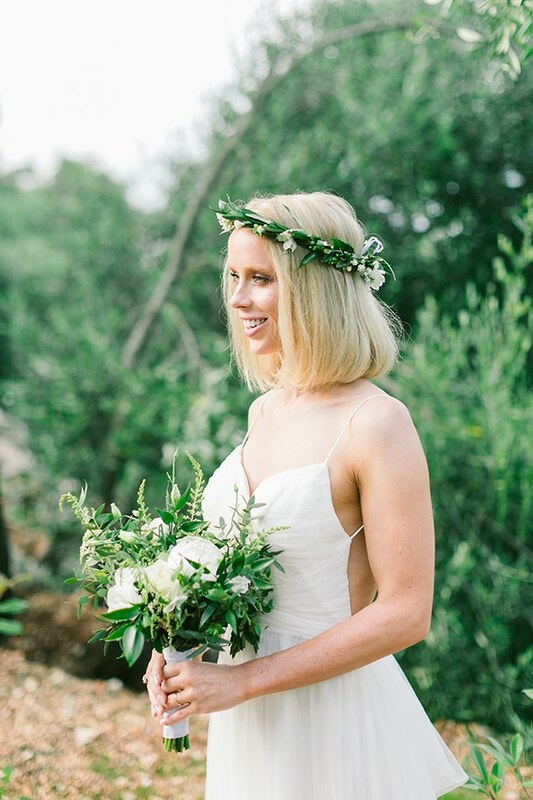 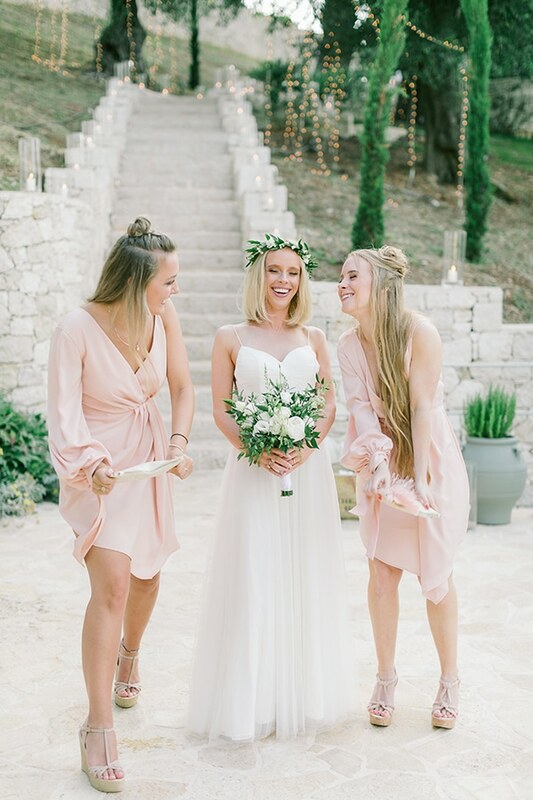 We fell in love with the effortlessly gorgeous style of the bride. 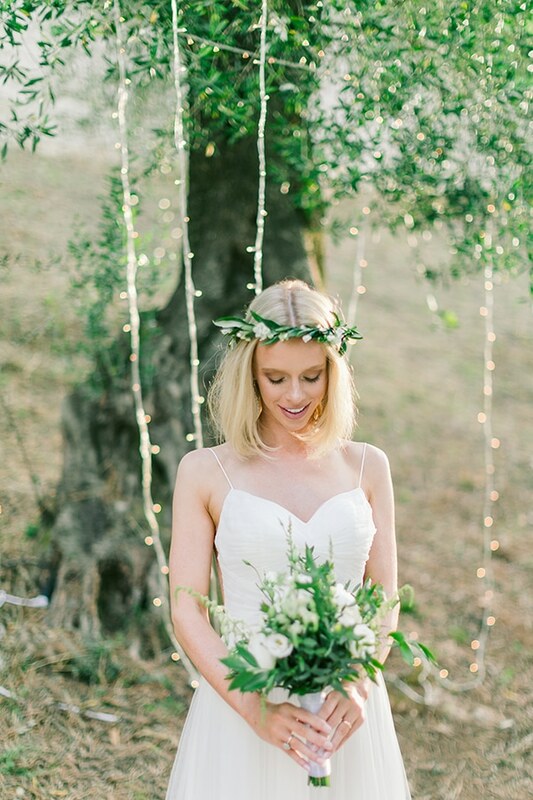 Flowy, dreamy and boho!